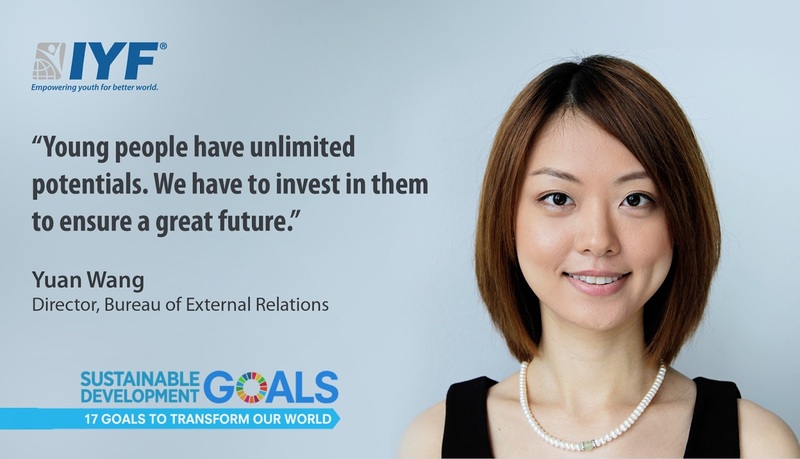 London, United Kingdom: Today the International Youth Federation named Ms. Yuan Wang as Chair of Director of Bureau of External Relations. The decision announced via the IYF Executive Board. “The IYF Bureau of External Relations plays an important role in ensuring that the IYF continues to deliver its commitment to reaching young people on every platform as well as discovering and developing new ways to engage with them. In this regard, we are glad to have Ms. Yuan joined us at the IYF, as she brings with her a diverse skill set gained from experience across many organizations and industries” Said Ambassador Saeed ZAKI, IYF Secretary General. Ms. Yuan is a young professional with experience in public relations and business management in multiple European countries and China. She is passionate about international affairs and economic development. In particular, she cares about improving the quality of life for young people in under-developed regions of the world. Ms. Yuan holds Master’s degree in Economics and Business Administration from Norwegian School of Economics.